Urinary problems such as inappropriate urination are a common issue among cats, especially elderly ones. They are caused by numerous problems in the urinary tract that include the bladder, kidney, ureters, and urethra. Urinary problems are usually of two types – lower urinary tract (bladder and urethra) and upper urinary tract (kidneys and ureters). Before we go into the treatment and prevention techniques, it is important to understand the symptoms which lead to urinary problems. Diagnosis can be done by a vet through Ultrasonography, radiography (X-rays), blood and urine tests. Along with this, the cat’s historical background and thorough examination will help in detecting urinary problems. The following are urinary symptoms which can lead to urinary issues. The main aim of treating urinary infections in cats is to eliminate all the organisms that are causing the infection. 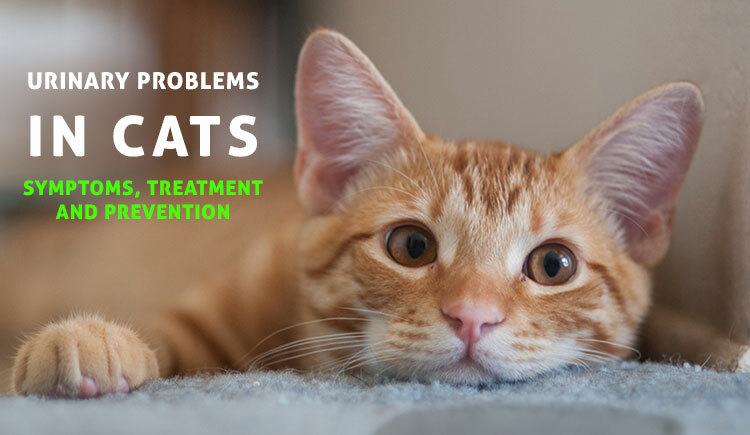 If you have a feeling that your cat might be suffering from urinary tract infection then do not delay and visit your vet as quickly as possible. Detecting the problem will simplify the treating process. In all likelihood, your vet will advise you to change your cat’s diet. If the problem is worse, your feline may well have to be hospitalized and surgery will have to be performed. Cats that are being treated need to be strictly monitored and regular tests are required. To make sure your cat does not fall prey to urinary problems, it is important to keep the below points in mind. – Encourage your cat to move around and not lazily sit around all day. As the old saying goes “prevention is better than cure”, we must do all it takes to protect our pets from pet problems. We may not always be successful because, despite proper care, problems seep in but we must continue to do our bit. At the end of the day, our pet’s health is our topmost priority, right?